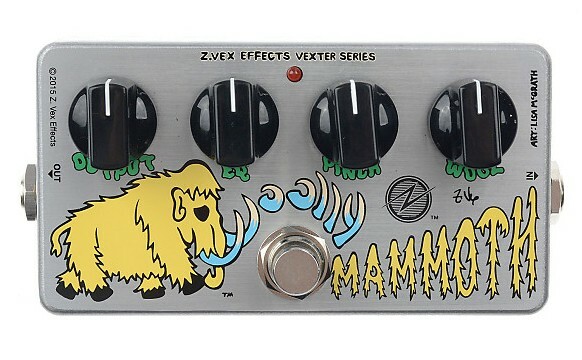 Woolly Mammoth Vexter, Bass Distortion/Overdrive from Zvex. 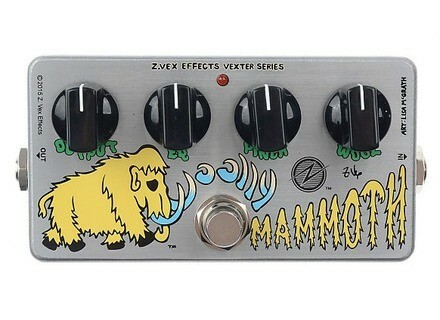 ZVex has released a Vexter version of its bass fuzz pedal, the Woolly Mammoth. Like all Vexter Series pedals, this model features silk-screened art and is lower priced than its hand-painted counterpart, but the parts inside are identical. Designed for bass but also quite usable with a guitar, the Woolly Mammoth is described as a sub-frequency-preserving unit supposed to "hold on to the lowest lows like no fuzz ever heard before". It features a gate for silencing your instrument between notes or phrases, and has an EQ control that selects between more bass and more treble. MSRP is $239. More details and sound demos available at www.zvex.com. Taurus releases Mk2 version of its T-DI stompbox Taurus has released the T-DI MK2, an updated version of its preamp and DI pedal for bass.